We will call you to answer your questions. Continental breakfast is served in the breakfast room from 6:30am – 10:30am during the week and 8:00am – 10:30am on weekends. 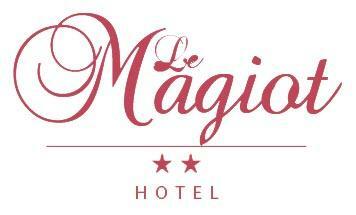 Following your booking, Le Magiot will send you a confirmation via e-mail, fax or contact you by phone. The hotel does not require a down-payment for the reservation of rooms. All children are welcome at Magiot. All children under 2 years get a cot for free. Maximum 1 extra bed and a cot per room. Service charges are not applicable. In case of cancellation up to 1 day before date of arrival, no fee will be charged on your credit card. In case of late cancellation or no-show, the hotel will charge the amount of the first night on your credit card.